“CEOs are dreaming of owning everything on the planet. What are we dreaming of?” Capitalism is in crisis. More than ever it’s time to ask: what are the alternatives? 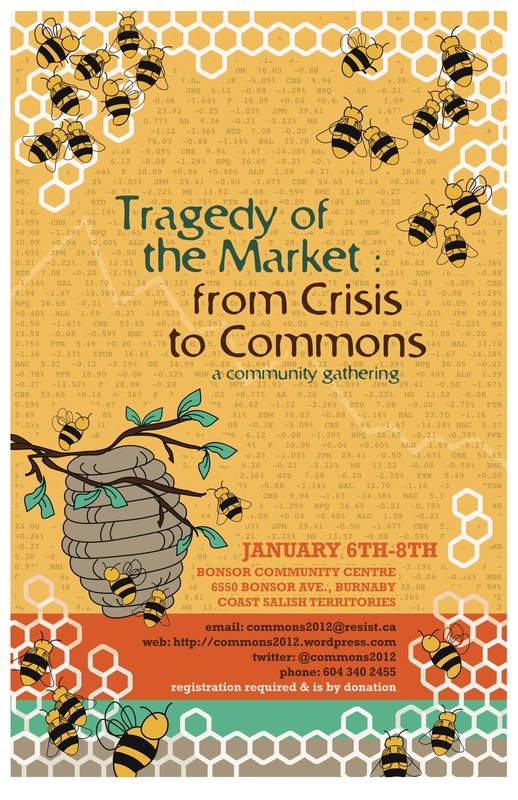 Tragedy of the Market: from Crisis to Commons is a community gathering January 6 – 8, 2012. By donation, childcare and lunch available. Information: http://commons2012.wordpress.com/, twitter @commons2012. I’m pleased to have developed the illustrations for this important event.